Hey Friends! 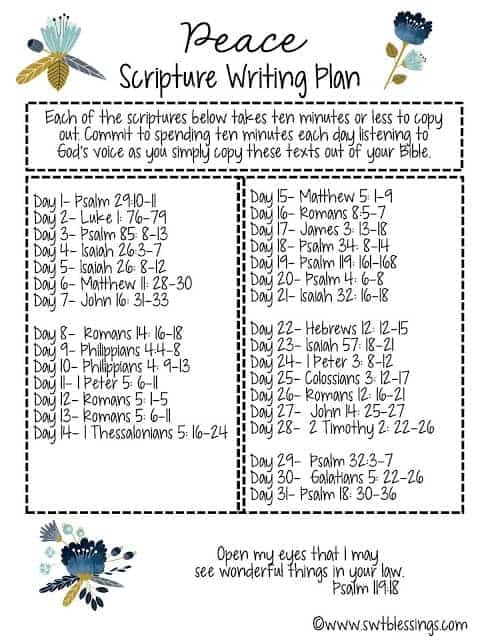 I’m thrilled to share another Scripture Writing Plan with you from SwtBlessings.com! I also have some great news, Shannon at Sweet Blessings now has a Facebook Page! Click here to “like” her page and follow her. She is a breath of fresh air on Facebook and I know you will be inspired by what she shares! While you’re there, I’d love for you to “like” my page as well, click here for that. 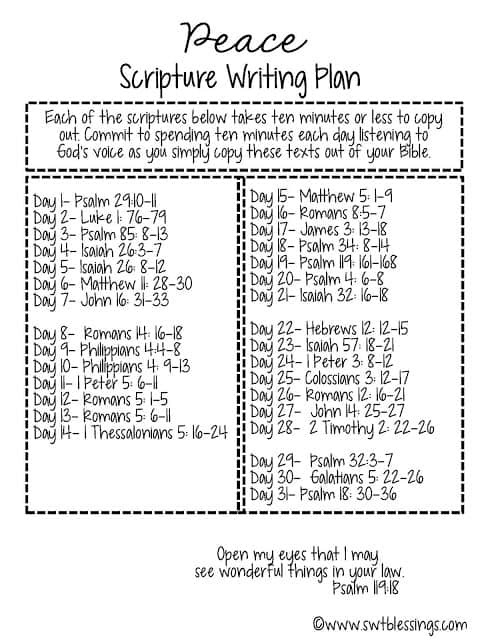 If you are looking for the monthly scripture writing plans, click here to see them all. 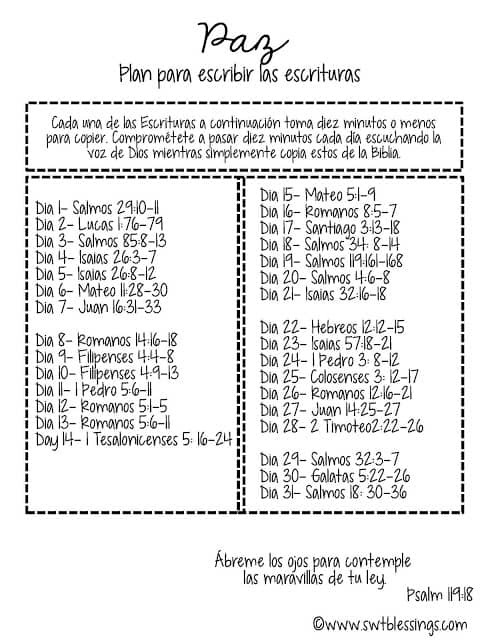 This special themed plan I am sharing from Sweet Blessings today is a 31 day plan that can be done in any month you wish. Click any photo to open up a printable version. It is available in English adorned, English plain, Spanish adorned, and Spanish plain. 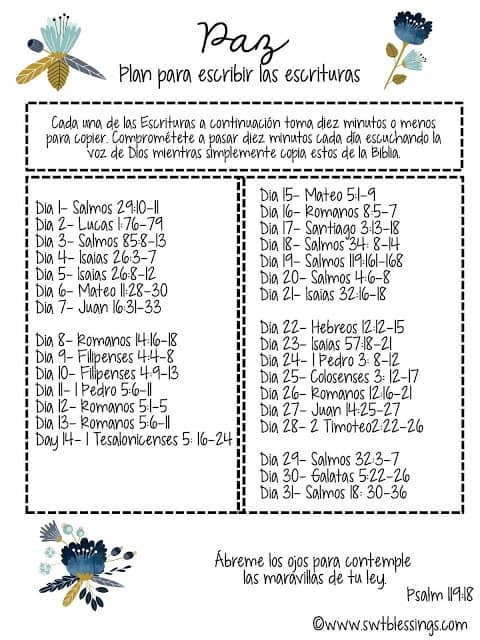 Hi did u post february scripture? 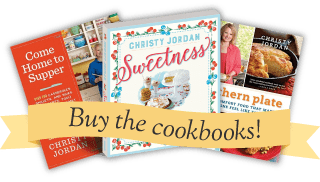 Do you publish/post any low carb recipes? Just started low carb.